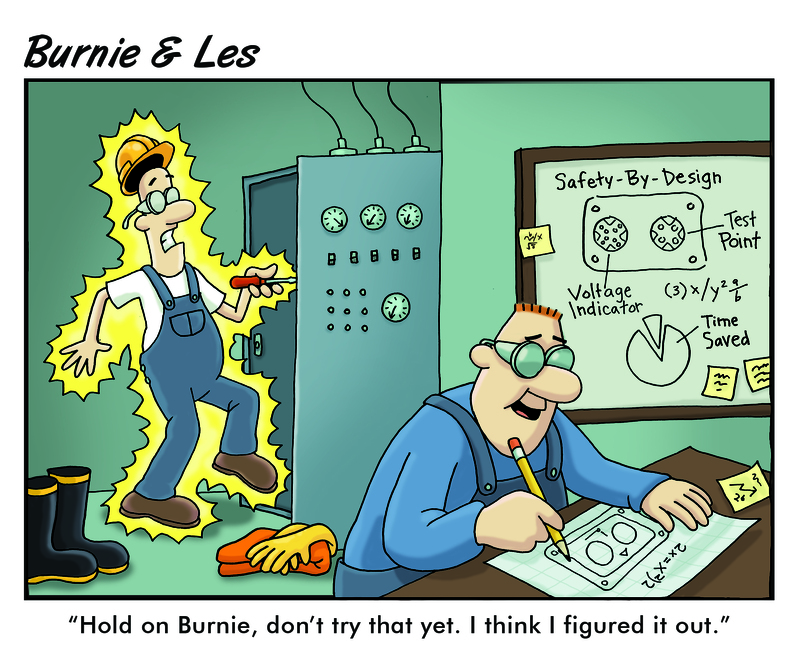 After so many arc flash incidents with our clumsy pal, Burnie; Les made it his life goal to find a better and safer method of performing Lockout/Tagout (LOTO) procedures, routine maintenance, and troubleshooting. The result was the Voltage Test Station (VTS). 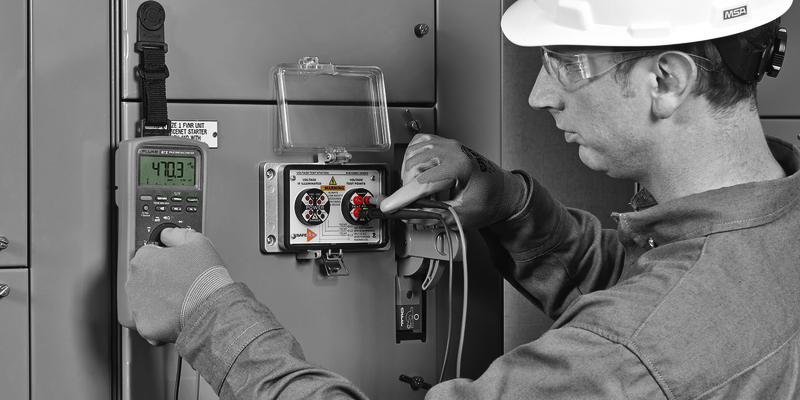 This Permanent Electrical Safety Device (PESD) provides a visual representation of energy using the voltage indicator's LED lights combined with the ability to measure voltage presence or absence via the test points. Both components are conveniently placed within a UL rated protective housing. As unfortunately common as it is, Burnie is the type of guy who is bothered by Personal Protective Equipment (PPE) and elects to use it as little as possible. 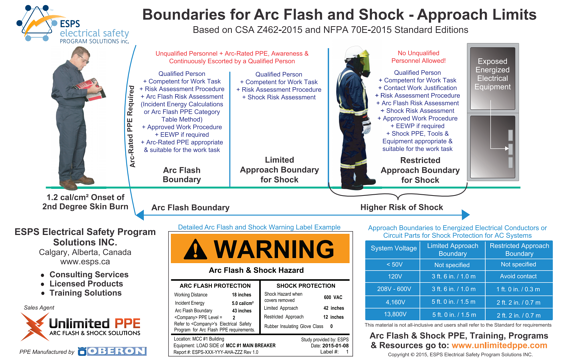 Despite repeated lectures from Les to ALWAYS use the recommended PPE based on their facility's electrical safety procedure, Burnie still tends to ignore the PPE guidelines from Table 130.7 (C)(16) of the NFPA 70E (2015). In comparison to their methods in the past, with the VTS, Les found the answer to keeping people safe and assets secured. It's one thing to use warning labels to keep people away from voltage, but the ability to keep voltage away from people is truly a testament to safety by design. 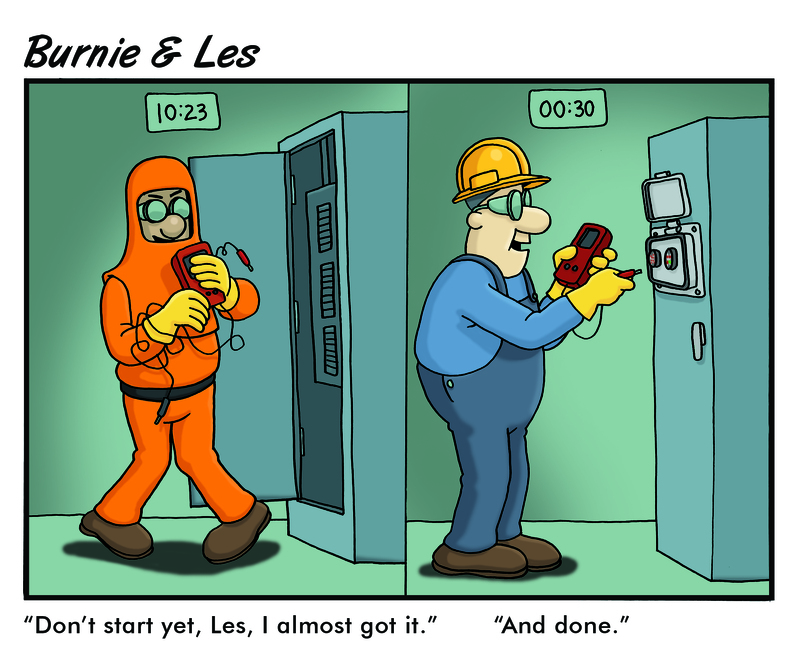 In order to test out the effectiveness of this PESD, they held a little competition, and Les made sure Burnie wore his PPE this time... The VTS is now officially a UL Recognized product. By adding this PESD to a written LOTO procedure, Les has enhanced his electrical safety program through safety-by-design. Be "done" as safely and efficiently as possible like Les. 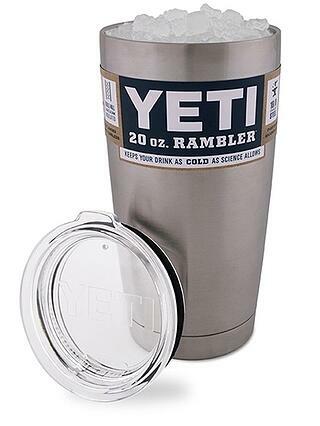 Some say Burnie still has "almost got it..."
Last week's YETI 20 oz. Rambler winner was Daniel from ATC Automation! Congratulations! We will be shipping them towards the end of the month.